25 May 2016: Tran Qui Thanh built one of Vietnam’s most prominent fast-moving consumer goods companies from scratch through hard work and a will to succeed. Now, his worry in that this success has created a heavy burden for his children to take on. The 63-year owns THP, the largest private beverage company in the country, where his bottled teas outsell Coca-Cola and Pepsi. The story of THP – the company’s full name is Tan Hiep Phat – has a humble beginning in 1994. Serial entrepreneur Thanh started the company by buying over an old production line from Saigon Beer, and refurbishing it himself. The family lived on the company’s premises, he says, and his children practically grew up on the factory floor. Growing up in an orphanage after his mother passed away when he was nine taught Thanh to fend for himself, and he applied that survival instinct, as well as sheer graft, to his business. “I started out without a mentor and with very little money,” he says. “Life was hard and I struggled every day. Growing up, I learned that in order to survive we must have discipline, we must not give up or indulge ourselves, and that’s the principle I applied in my business,” he adds. 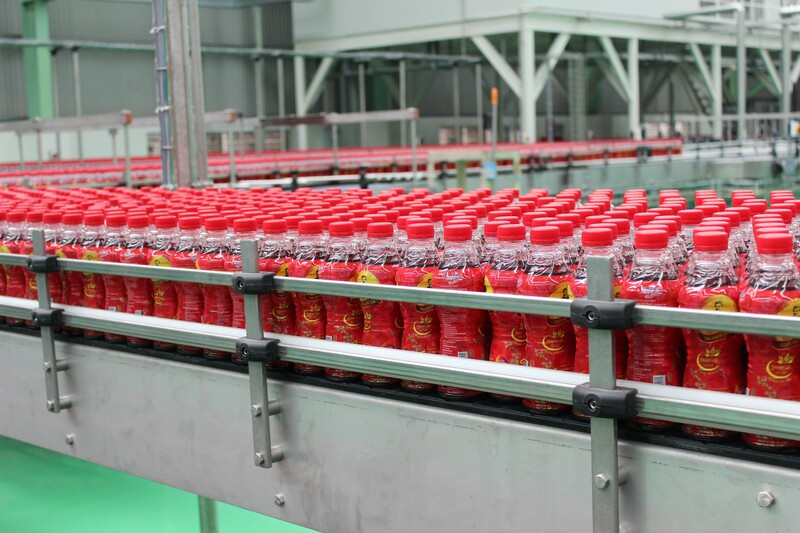 The company’s success – it now supplies drinks including herbal and green teas, sports and energy drinks, soya milk and water across Vietnam as well as in 16 other countries including China and Australia – has attracted the attention of global brands, with Coca-Cola, Pepsi, Universal Robina Corp of the Philippines and Japan’s Ito En approaching it over the years with a view to forming partnerships or acquiring a minority stake. Thanh says a 2012 approach by Coca-Cola didn’t eventuate in a deal because the companies couldn’t agree terms. “Coca-Cola did not allow us to venture into other markets back then; they only let us to expand our market share in Vietnam, Laos and Cambodia, and this is in conflict with our vision,” he says. But Thanh says THP is still open to deals, if it can find companies with a similar vision. Partnerships are one way to propel the company to its target of hitting $3 billion in annual sales by 2030. THP clocked sales of about $500 million in 2015, with products coming from four factories in Vietnam. That equates to one billion liters of drinks, which were produced by the roughly 4,000 people THP employees in its home country. Thanh admits that his daughters have inherited his workaholic habits, often putting in 16 hours a day on the job. And while Thanh appears intent on passing the reins of THP to his daughters eventually, he insists that the position of CEO is a responsibility they have to earn. Conversely, the prospect of THP becoming too big for his children to handle is something he worries about. “Leadership is important. As the company gets bigger, managing the business will be more difficult and more complex, and that’s going to be a challenge,” he says. While THP is often cited as a home-grown business success story, that attention has brought problems that may be on Tranh’s mind when he thinks about how his children may fare when they replace him as CEO. In 2015 THP won a lawsuit against a consumer who attempted to extort cash from the company by claim he found a fly inside a THP bottled beverage. Other complaints from consumers of “dregs” in THP beverages followed. Thanh describes the incidents as “attacks,” and insists that it’s impossible for such contaminations to happen, as the company’s advanced bottling system ensures that its products are bottled in a sterile and hygienic environment. But athough local health authority checks cleared THP of violations of food safety regulations, Thanh admits the episode dented the company’s brand image. He now open his factories for public visits in an attempt to rebuild customers’ trust. More broadly, he believes the key to sustaining THP is to train the next generation so that they have have the skills and the experience to grow the company. “Inheriting the business is not a benefit, it’s a responsibility,” he says.